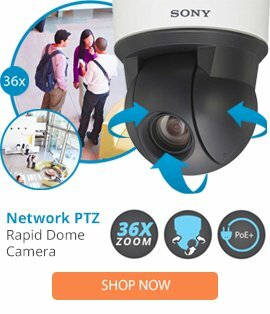 At Surveillance-video, we sell only the best in surveillance products, including the latest technology from top-rated brands such as AG Neovo. Whether you need to prevent a burglary at home or theft at your place of business, we carry the surveillance products that can help you get the job done, from security cameras to software to an AG Neovo monitor. In 1999, AG Neovo began producing world-leading display devices for consumer and professional markets designed for a wide range of conditions. AG Neovo delivers products that blend in with their environment, allowing their use in a wide range of locations. This intense focus on design has set their equipment apart from the competition and allowed their systems to perform where others would fail. Some of AG Neovo's devices have even been recipients of the prestigious iF award for product design. AG Neovo is headquartered in Taiwan and has offices throughout Europe, Asia, and North America. Its success is based not only on their technology but their approach. By listening to the requirements and concerns of the industry, AG Neovo is redefining the traditional monitor and delivering new and innovative products to the world stage. For instance, an AG Neovo monitor has features that support the highest-quality video, like optical glass, LED backlight, and digital looping. These monitors are built for energy savings and have slim housing designs and widescreen capabilities. When you get the clearest picture from your surveillance cameras by purchasing an AG Neovo monitor from Surveillance-video, you'll also be able to stay within your budget thanks to our lowest price guarantee. We also offer free shipping on qualifying orders, and every product we sell comes with lifetime technical support. In addition, AG Neovo products come with a limited manufacturer warranty. We want to make sure you are able to use our products to their fullest potential to make your property safer, so if you have any questions about installation or usage of any Surveillance-video product, give us a call and we will walk you through a solution. Call now or use our chat box function to request a quote or inquire about our products.